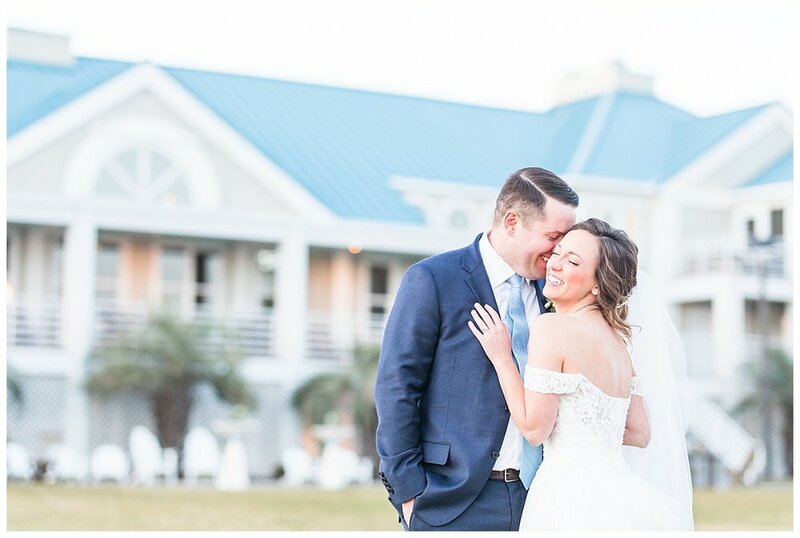 Elaine and Kenny said “I do” this weekend in front of their closet friends and family and it was an absolutely perfect day. I do not think I have ever laughed as much as I did during groomsmen portraits, but Kenny and his friends certainly know how to have a fun time. The day could not be more perfect, there was literally not a cloud in sight. 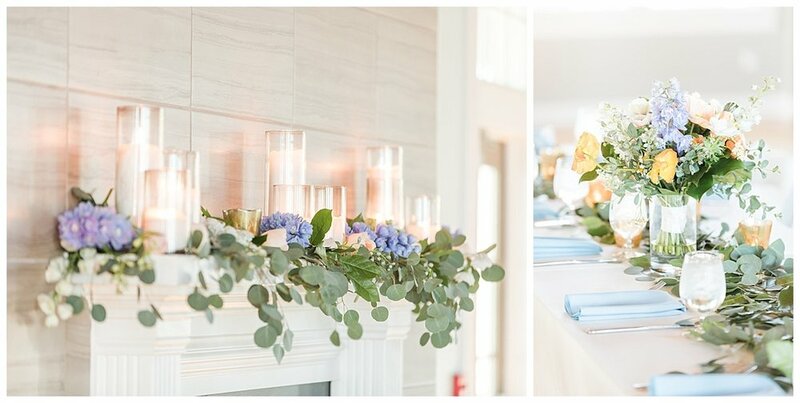 Elaine did an absolutely beautiful job designing her wedding, with dusty blue, greens and hint of gold that tied everything together so beautifully. 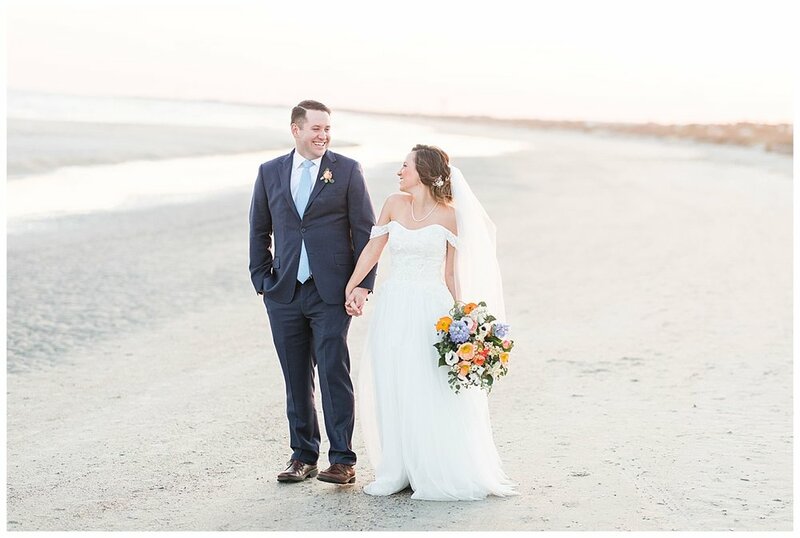 We took advantage of being close to the beach, and we snuck off during the reception for some fun romantic, sunset beach husband and wife portraits. I will add that Kenny has mastered the “laughing out of this kiss" pose. Again, I do not think I have ever laughed as much during portraits as I did with these two. Spending time with Elaine and Kenny first at their engagement and their wedding yesterday felt like we were old friends as the two of them are so easy to get along with and seriously so fun! I am so excited to hear where they choose to go on their spontaneous honeymoon in the next few weeks, I have no doubt that it will be amazing! 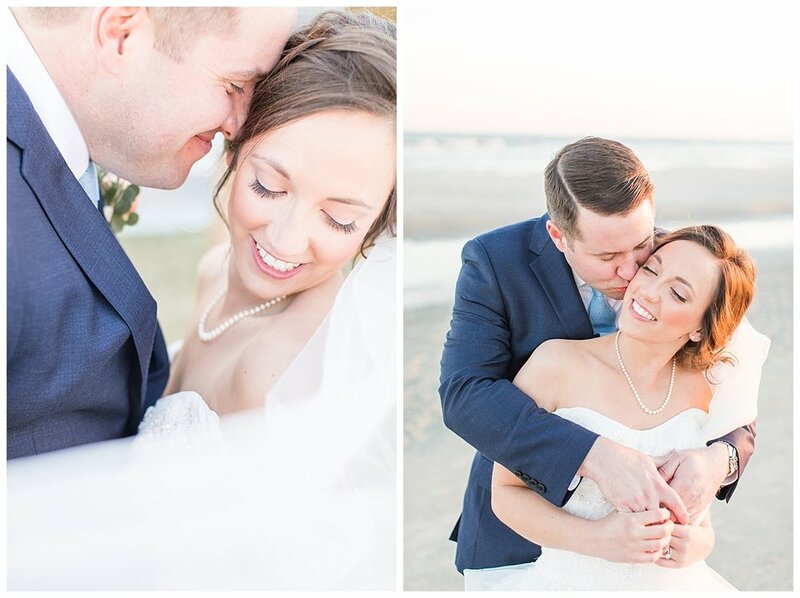 I am thrilled to share a few of my favorite images from their wedding as their sneak peek. Congratulations to the happy newlyweds!